Surfer Blood's first LP since the passing of Thomas Fekete, the group's longtime guitarist, Snowdonia is laden with the same power pop-meets-surf rock that put these melodically-minded Floridians on the map. On 2010's Astro Coast, whether they knew it or not, South Florida's Surfer Blood issued a creed that would define their sound for years to come. "Swim! / To reach the end", frontman John Paul Pitts sang on "Swim", his voice thrashing forward at waves trying to throw him back. It's more of a shout than a chorus, but that's the point. A shout can jolt you awake when you've forgotten you're sleeping; a shout can snap you out of a crippling malaise; a shout can inspire, propel, knock you over and lift you up. Surfer Blood's music, at its best, can do the same thing: namely, remind you, through guitars that meet at the border between bedraggled surf rock and manicured indie pop, through melodies that bring to mind Weezer, the Beach Boys, and a sun-drenched version of Yuck, through volume, through force, through shout after shout after shout, that that there's an "end" worth swimming toward. After you hear it shouted enough, you start to believe it. For the band, this creed has never mattered more than during the years leading up to Snowdonia, their latest LP and follow-up to 2015's spirited yet lackluster 1000 Palms. Thomas Fekete, the group's longtime guitarist, passed away from a rare form of cancer shortly after bassist Kevin Williams left the band for personal reasons. However, the group swam on to create Snowdonia, its propulsive brand of beach-punk indie more than just intact, but alive, thriving, more confident in itself as a mode of turning any beneath-the-pier party into a raucous meditation on life, love, and the conflict between the two. You can hear this within several tracks on Snowdonia: the unapologetic singalong stomp "Frozen", the frenetic adrenaline rush "Matter of Time", the ponderous yet dream-inducing title track. Nevertheless, despite these gems, the album as a whole fails to distinguish itself from the best of Real Estate, Best Coast, Wavves or any other guitar-centric indie act that traffics in melodies in need SPF 50 or higher. Perhaps that's something we can forgive them for, though. Listening to "Frozen", it's tempting to forget that "Six Flags in F or G" is a grating farrago of blues-meets-indie-meets-punk or that "Instant Doppelgängers" seems to travel in 100 directions at once but go nowhere. It's a track that embodies everything that made "Swim" so indelible seven years ago, when the band was wasn't sure of its sound yet but aware that they had the talent to reach for it. In other words, it's a quintessential Surfer Blood composition, one that seems to exist - to persist, to shout out and swim forward - above the real-world difficulties that the band has faced. "If our time is ending soon / Either way it won't stop / Won't stop the world from turning," Pitts sings, the syllables of "won't stop" stretched out and pulled forward by the same force impelling this world to turn, the same force that sends Pitt surging back into the chorus. "Frozen in the armory / Frozen in the armory," he repeats, then repeats again, before whipping the phrase into a wordless version of itself -- into a call, a demand, an ecstatic refusal to drown in self-pity, that seems to give new shape to the band's creed ("Swim! / To reach the end") without restating it explicitly. "Dino Jay" also finds Pitts and company burrowed into their natural habitat of bittersweet melodics and jangling guitars. It's not on the same level as "Frozen" or "Matter of Time", but, next to the tonally confused "Taking Care of Eddy", it seems like the band's masterwork. That's the kind of record Snowdonia is. You'll want to listen to some tracks over and over again, some just once, and some for 30 seconds or less. 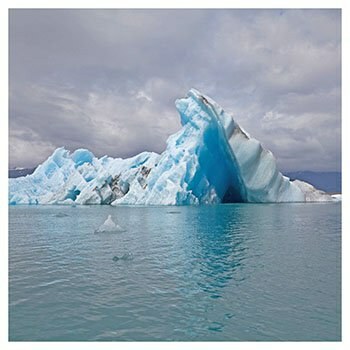 Nevertheless, the tracks that work demonstrate what put Surfer Blood on the map in the first place: power pop ambition, surf rock style, and an implacable conviction to swim forward even when the waters seem too rough to handle.